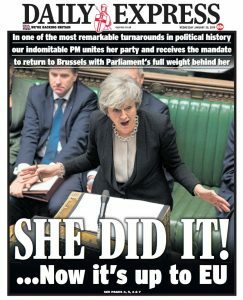 So the Tory press claims a huge victory for Mrs May as the House of Commons votes to send her back to Brussels to renegotiate a withdrawal agreement that she has already signed. 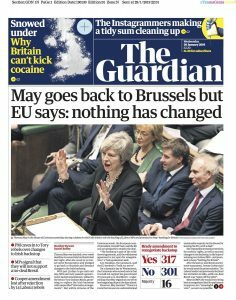 The EU meanwhile says that the deal is signed and cannot be changed. 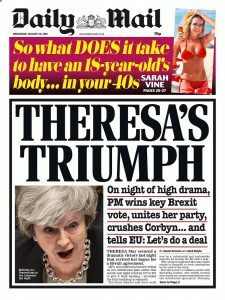 Now they might relent to some vague words just to try and make Mrs May go away; and to ensure Brexit happens. The EU27 will be mightily relieved to see Britain gone, skulking off to oblivion.